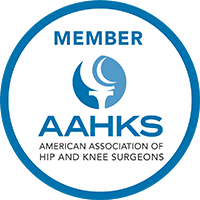 Orthopaedic Specialists of Connecticut > Our Team > Sanjay K. Gupta, M.D. 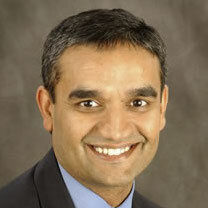 Dr. Gupta is currently the Chief of Orthopedics at Danbury Hospital. He completed a two-year fellowship in adult hip and knee reconstruction at the Hospital for Special Surgery and Lenox Hill Hospital in New York. Sanjay K. Gupta, M.D. is Chief of Orthopedics at Danbury Hospital. He specializes in Hip and Knee Surgery, including Minimally Invasive and Robotic-assisted Joint Replacement, Revision Hip and Knee Replacement, and Outpatient Joint Replacement. He completed a two-year fellowship in adult hip and knee reconstruction at the Hospital for Special Surgery and Lenox Hill Hospital in New York. He completed his orthopedic residency and a Masters in Orthopedic Engineering at the University Hospital of Wales in Cardiff, UK. Dr. Gupta serves as Medical Director for Joint Replacement at Danbury Hospital and is an assistant professor at the University of Vermont School of Medicine. He has won several awards for his research on hip and joint replacement and has presented to both national and international orthopedic forums. His research has also been published in numerous medical journals. He was voted one of Connecticut Magazine’s Top Doctors from 2014 -2017. Dr. Gupta is widely recognized as one of the top joint replacement surgeons in the state. New York State: Temporary License, 2004-2006. Danbury Hospital, Danbury, CT, Attending, 2006-Present. Danbury Surgical Centre, Danbury, CT, Attending, 2006-Present. 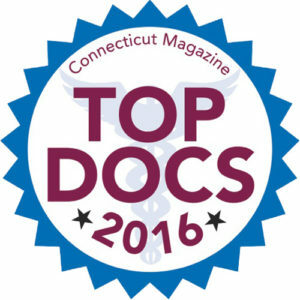 Voted Connecticut “Top Doctors” 2013, 2014, 2015, 2016, and 2017. Voted as a best surgeon by peers in Orthopaedic Surgery. “10-year survivorship of total hip arthroplasty for femoral head osteonecrosis in young patients: Is the problem bearing wear or fixation failure?” First prize for best paper at Lenox Hill Hospital Alumni day, New York, 13th May 2005. Sir John Charnley Travelling fellowship for Arthroplasty (UK) for 2004/2005. Ethicon Foundation Traveling Fellowship Fund from the Royal College of Physicians and Surgeons of Glasgow for the fellowship year 2004-2005. Panel member of the second Professional Select Committee on Orthopedic wound care-Royal college of Surgeons-London, UK, 18th June 2003. Report Published in The Times (leading newspaper of UK) Sept 30, 2004. Accord (Johnson-Elloy) Total Knee Replacement: Why did it fail?. Top six papers at the Welsh Orthopedic Society meeting, May 2003. Do single fractures of the Pelvic ring exist? Awarded best paper at Welsh Orthopedic society, Swansea, 14th May 2004.